Robert Middlemass was the founder of the Middlemass Biscuit Factory, which stood at the corner of Salisbury Place and Causewayside until it was demolished in 1983 to make way for the National Library of Scotland Maps Collection building. Middlemass claimed to have invented the digestive biscuit although the same claim is made for Alexander Grant, an employee of McVities & Price. Robert Middlemass was born in Traquair, Peebleshire on 21 February 1819. He married Helen Matthewson (1828-1909) in 1851, and they had nine children. The family lived at the corner of Findhorn Place and Dalrymple Crescent. 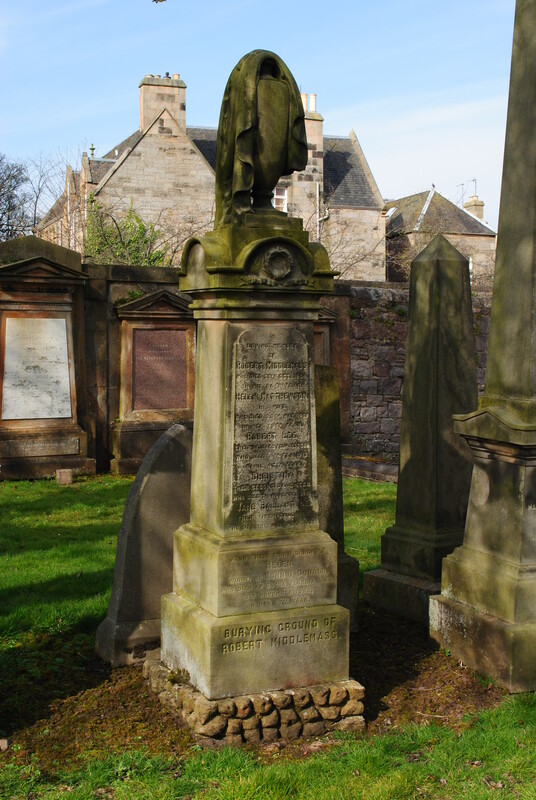 Robert bought the land in 1862, living there until his death in Peebles on 23 October 1904. Four of their children are remembered on the monument: Robert Lee (1866-1913), their youngest son; and three daughters, Christina (1855-1931), Jane Ballantyne (1861-1933) and Helen (1857-1953), who was the widow of John Q Donald. How does Neighbourhood Watch work?